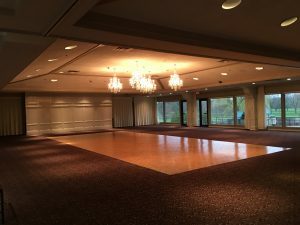 The Women’s Club of Evanston offers a classic wedding and event venue in the Chicago and Evanston, IL area. 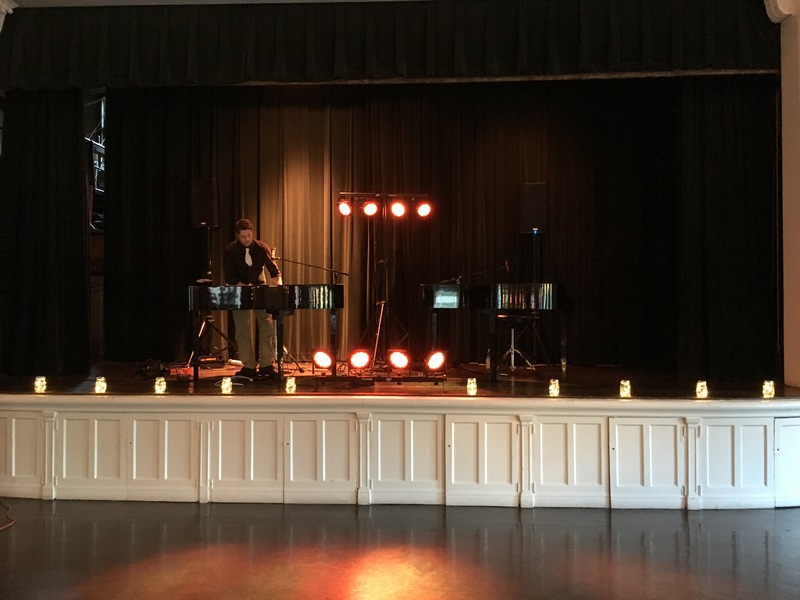 Felix and Fingers brought the party to Kelly and Clint’s Evanston Club wedding event. One of the highlights of this club is it’s STAGE. 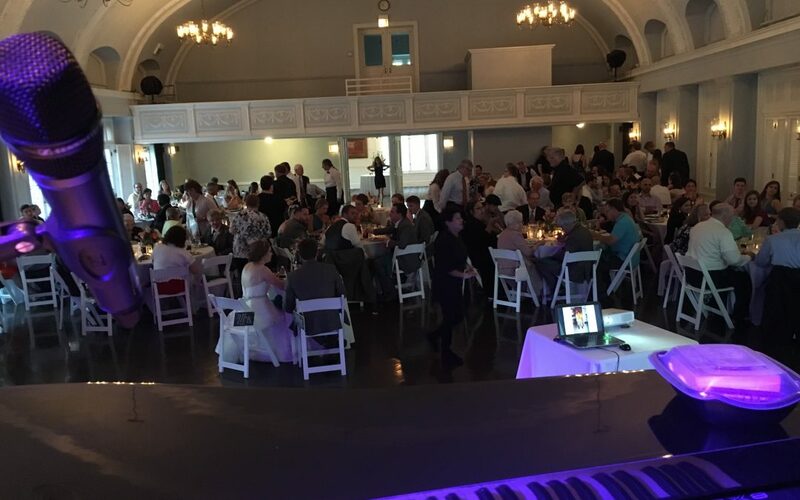 Our performers for this wedding event were Greg Percifield and Robert Deason. They thought it was SO COOL performing 4 feet off the ground on a gorgeous stage! Congratulations Kelly and Clint! Searching for an ideal setting at which to hold your most special occasion? Built in 1912, this clubhouse radiates timeless elegance and there’s not one corner that’s not a beautiful backdrop for photos. In all honesty, our jaws dropped at the stunning double staircase that led to the Grand Ballroom. We noticed staff discretely everywhere. They were so friendly, helping us load in and set up our gear. We even had our own dressing room! If you would like to tour The Women’s Club of Evanston clubhouse please click here. The Tea Room was the ideal setting for cocktails and hors d’oeuvres. 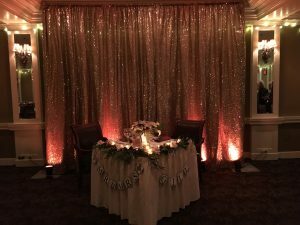 Our wireless sound system allowed Greg and Robert to play a variety of instrumental jazz from the Grand Ballroom while guests enjoyed champagne and mingled. We had a few guests approach our pianos with song requests such as For Once in My Life by Stevie Wonder. It wasn’t long before couples were dancing through the connected rooms having tons of fun! 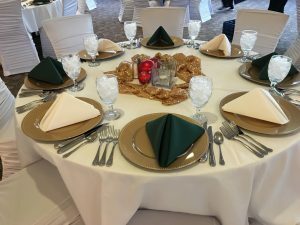 The Women’s Club of Evanston offers a broad selection of preferred caterers with various price ranges accommodating your budget. Their preferred caterers are very familiar with the Clubhouse. Because of this dining familiarity, dinner was delicious. Everyone enjoyed family style dishes such as chicken Oscar and mashed potatoes. Felix and Fingers played songs from albums such as Rumours by Fleetwood Mac and Moondance by Van Morrison giving the room a great vibe. 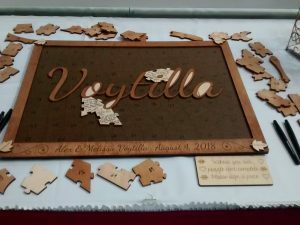 Instead of a traditional cake, the bride and groom offered a sweet table loaded with donuts, cake pops and homemade pies. We loved the cherry pie, it tasted just like grandma’s! It was mentioned that music was going to be one of the most important details during this event. 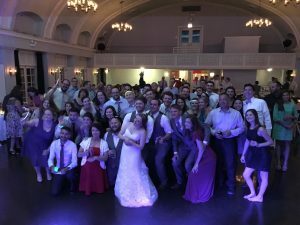 From their first dance to At Last by Etta James bringing a tear to everyone’s eye, to Shout by The Isley Brothers getting every guest on the dance floor, we NAILED it! There was a slide show presentation that we played a ton of love songs to such as Hold You in My Arms by Ray Lamontagne. With tons of 80’s and 90’s requests and between Prince and Boy George, the dance floor was PACKED. Nothing finishes out a perfect party more than our signature Piano Man by Billy Joel circle of love. When we can bring everyone together in a circle around the bride and groom to sing and dance at the tops of their lungs we are HAPPY! Felix and Fingers had a blast at the Evanston Club wedding event. Not only in this an amazing clubhouse but everyone at this event made us feel like family! If you would like us to perform at your next public or private party email us at info@felixandfingers.com or click here for more information. We look forward to hearing from you soon!